"Spider Crab". Sounds like some sort of coastal beach super hero - part crab, part spider. Actually, Crab Spiders are quite amazing in their own right. They are known for their chameleon-like camouflage, which they use to their advantage to catch insects. 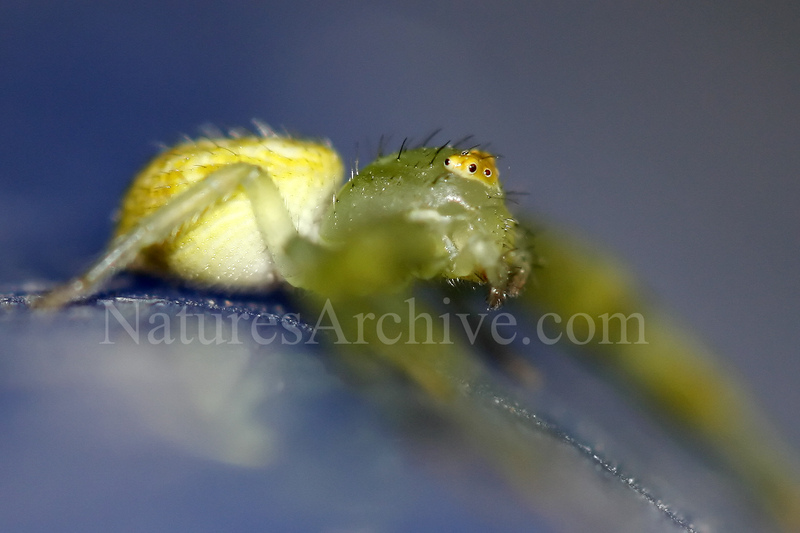 Most crab spiders find a spot on a plant or flower and wait...looking like an odd flower themselves. 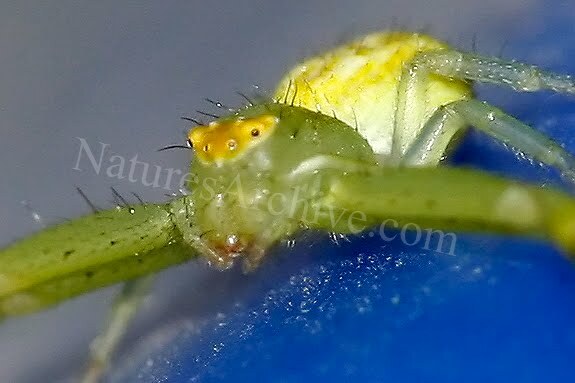 In fact, some people call crab spiders "flower spiders" for this reason. 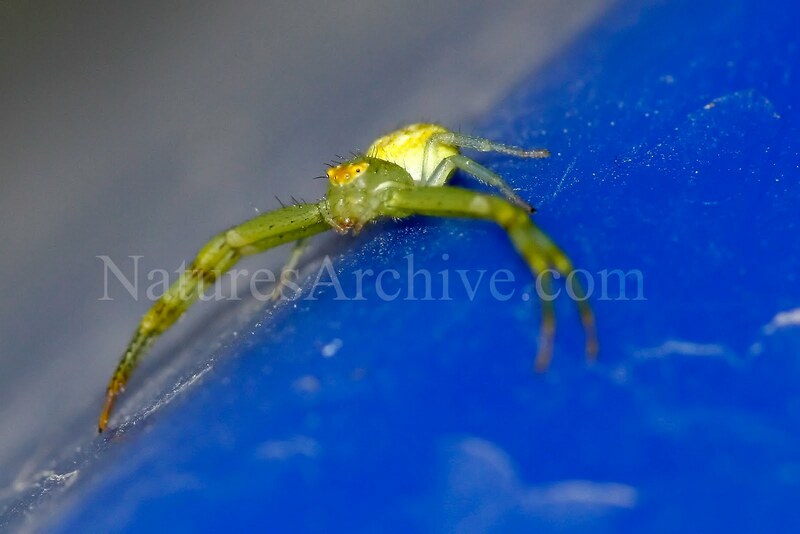 The spider photographed here was from my backyard in Maricopa, AZ. It hitched a ride on some tree clippings, and was trying to "blend in" on top of the recycle bin in the garage. These spiders seem to be quite common here - I often find them in this very spot after I prune my Mesquite tree or tend to the garden. This is good news - it means plenty more photographing opportunities. These photos were taken with my 100mm macro lens and pop-up flash, so I know there is room for improvement. From what I've read, Goldenrod Crab Spider - Misumena vatia and Whitebanded Crab Spider (Misumenoides formosipes) are two of the more common Arizona crab spiders. Unfortunately, neither seem to look like 'my spider'. In fact, I believe that this is a Misumenops species, perhaps a color variation of Misumenops Asperatus? My general purpose insect field guide, National Wildlife Federation Field Guide to Insects and Spiders & Related Species of North America , shows the Misumenops Asperatus in a different color phase. If any reader has any identification suggestions, please let me know.